Fog Zone is an awesome e-juice brand that offers some of the most unique, well blended e-liquids in the industry. Nicotine potency comes in options of Og 3g and 6g per ml. Vapor Bomb: Reminds you of a whiskey bomb. A Gotta try it flavor. 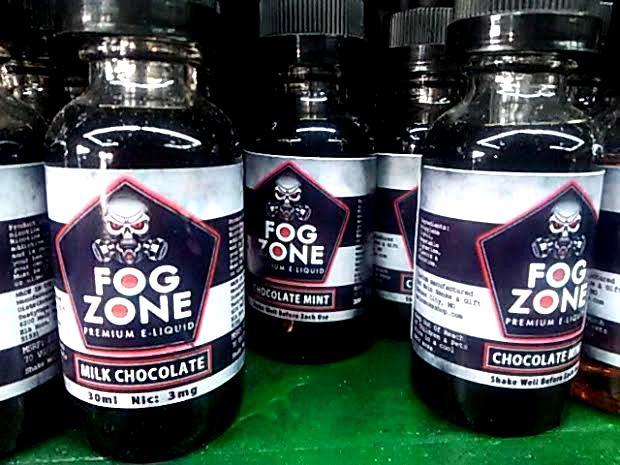 As an authorized dealer of Fog Zone E-liquid, we offer a price match guarantee across our complete line of Fog Zone e-juice products. We will Meet Or beat the price on Fog Zone with any local Kansas City competitor. Additionally, we offer many e-cig options to enjoy Fog Zone e-juice. We aim to become the best place to buy Fog Zone e-juice in KC 2016.